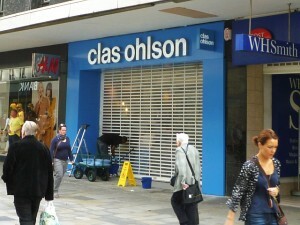 If the people of Newcastle were still unaware of Clas Ohlson this morning they shouldn’t be by the end of the day. 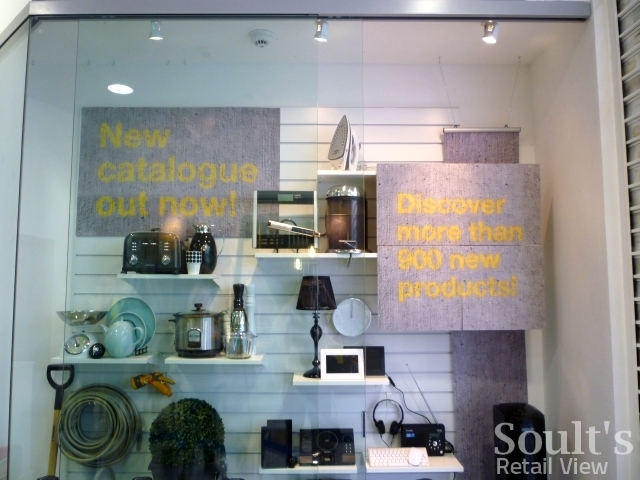 Adding to the billboards and posters that I mentioned a fortnight ago, the Swedish “modern hardware” retailer’s latest marketing push has included leafletters in Northumberland Street, adverts on the local radio, and even a wraparound on this morning’s edition of the Metro free paper. 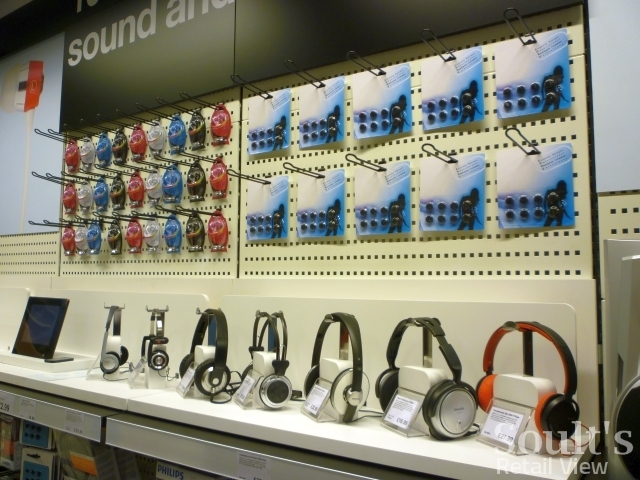 The new store opens its doors at 10am tomorrow (Wednesday 24 August), but I was allowed in for a sneak preview this morning to see what shoppers can expect from the North East’s first Clas Ohlson shop. 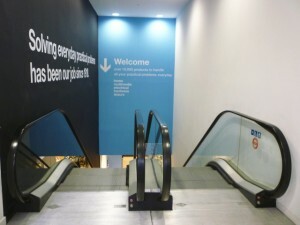 Externally, as I’ve noted before, the narrow street frontage that provides lift and escalator access to the basement store makes it harder than usual to draw people in. 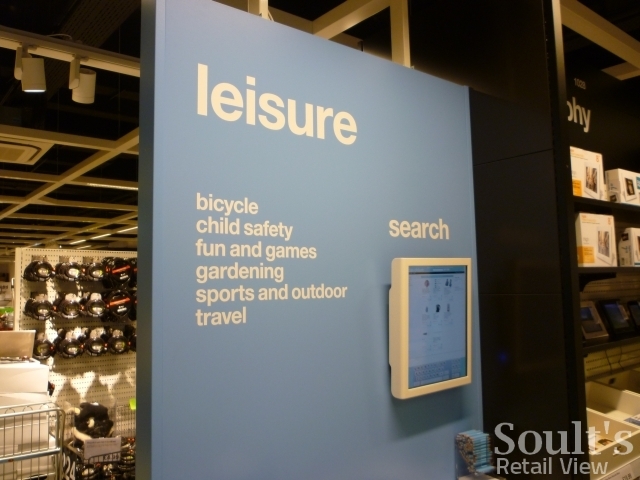 However, Clas Ohlson has made the best use of the limited space available by creating an eyecatching portal in its corporate blue. 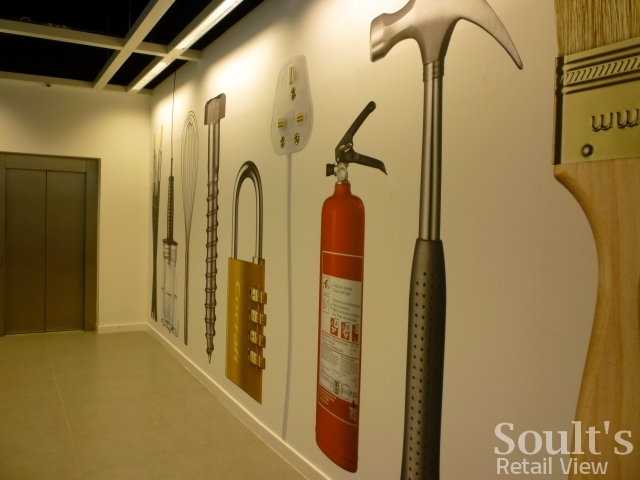 Next to the more subdued shopfront of its neighbour H&M, and against the backdrop of a generally dreary building, the bright new frontage is hard to miss. Once inside, display windows have been slotted in on either side of the entrance lobby. 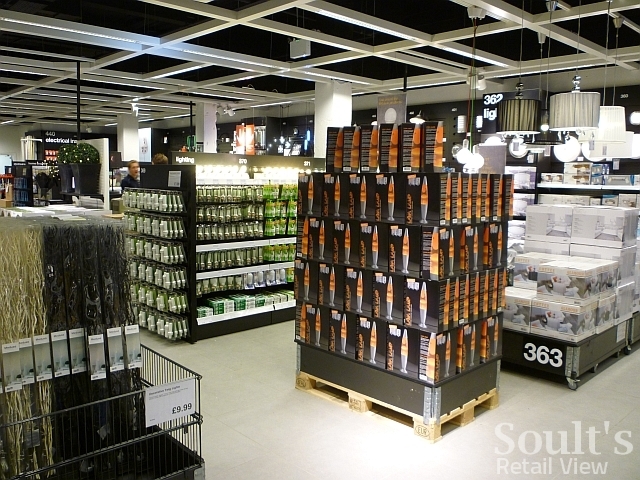 Though not very deep, they are an effective way of ensuring that customers get a taste of Clas Ohlson’s product range even before they descend to the store proper, and help to counter the lack of any display frontage onto the street. The escalator and lift that whisk customers down to the shopfloor are the only features that remain from the old Collectables store, and the extent of the transformation becomes clear as shoppers emerge downstairs. 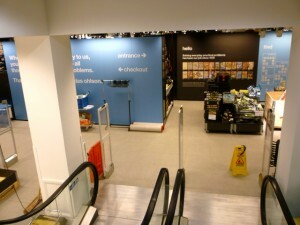 Essentially, the new store is unrecognisable from the one that it replaced. 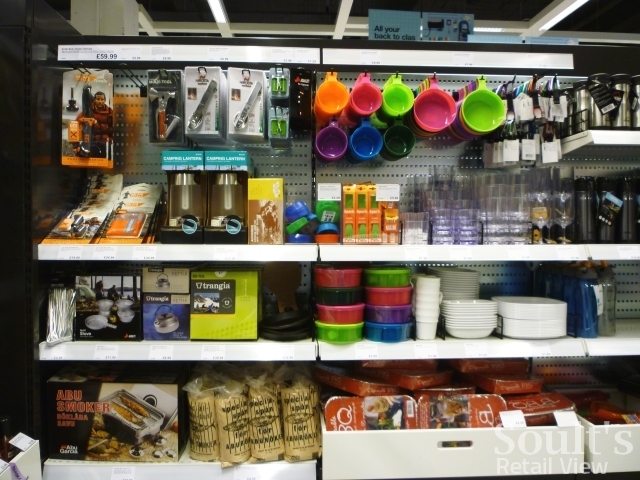 The layout and appearance of the store will be broadly familiar to anyone who’s visited one of Clas Ohlson’s other shops, such as those in Leeds or Kingston-upon-Thames. 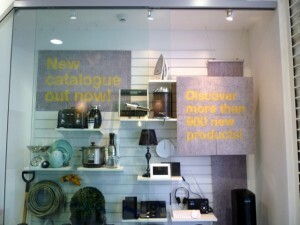 Shoppers are greeted by a display table featuring key offers, set against a backdrop of navigational signage and a diagrammatical plan of the store. 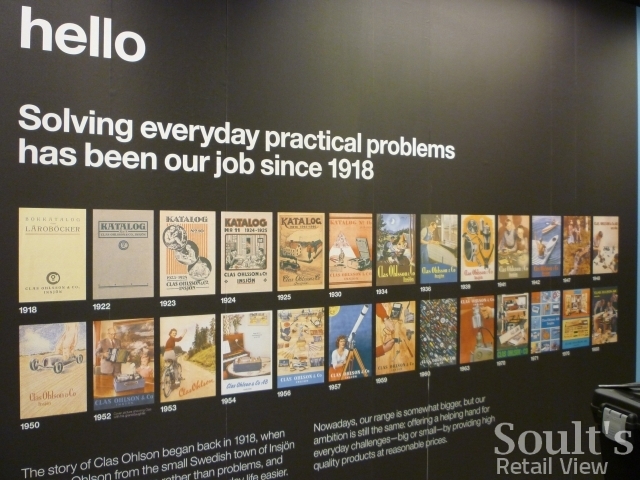 A wall featuring the covers of previous Clas Ohlson catalogues is also a nice touch, and a visually bold way of celebrating the retailer’s long heritage – something that has been a key message within the Newcastle store’s marketing campaign. 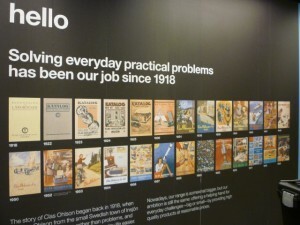 The launch of the latest catalogue, incidentally, has been brought forward a day to coincide with the opening of the Newcastle store. 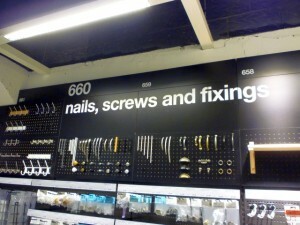 The bold and fun use of graphics extends throughout the shop. 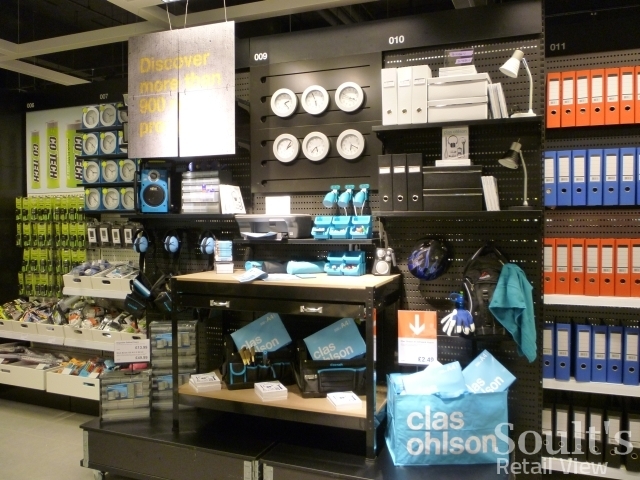 Blown-up images of Clas Ohlson products are used both as a visual aid, to help customers navigate the store, and as a more decorative device to greet customers – and to remind them what Clas Ohlson is all about – as they exit the lift. 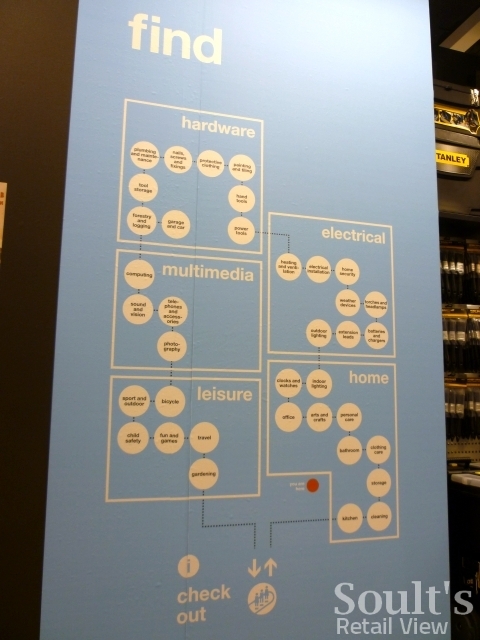 With the cash desks located to the left of the entrance area, the natural route into the store is to the right, beginning with the ‘Home’ department before moving on through ‘Electrical’, ‘Hardware’, ‘Multimedia’ and finally ‘Leisure’. 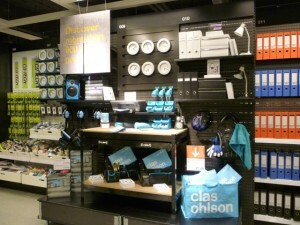 Rather like fellow Swedish retailer Ikea, Clas Ohlson likes to guide customers on a particular journey through the store, though frequent cut-throughs – more obvious than those in Ikea – make it easy to break away from the defined route. 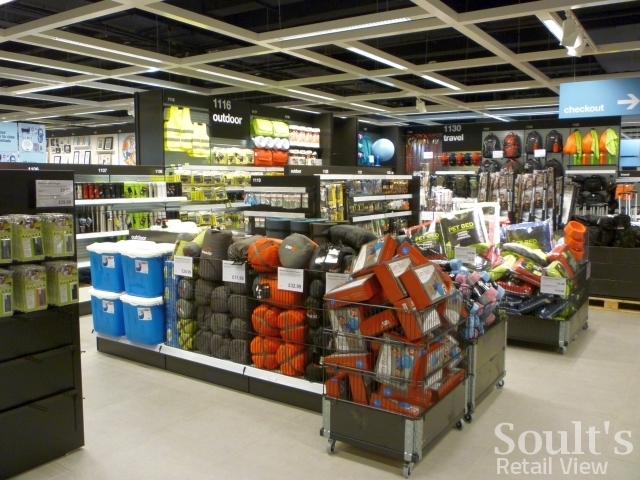 As in other Clas Ohlson stores, the distinctive feel of the store design – vaguely industrial, yet sleek and modern – creates a simple backdrop that allows the products to really stand out. 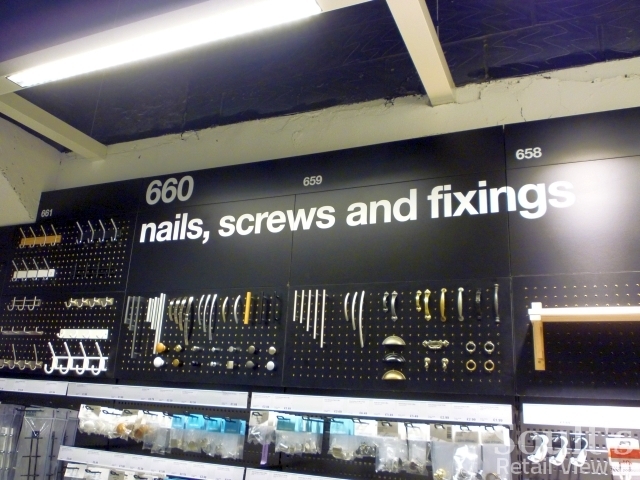 The retailer’s Scandinavian origins are evident in the elegant presentation throughout, as is its quirkiness and sense of humour. Inventive, fun and colourful ways of displaying product help to make even the most unglamorous items catch the eye. Some parts of the store also feature display innovations that are unique to the Newcastle store. 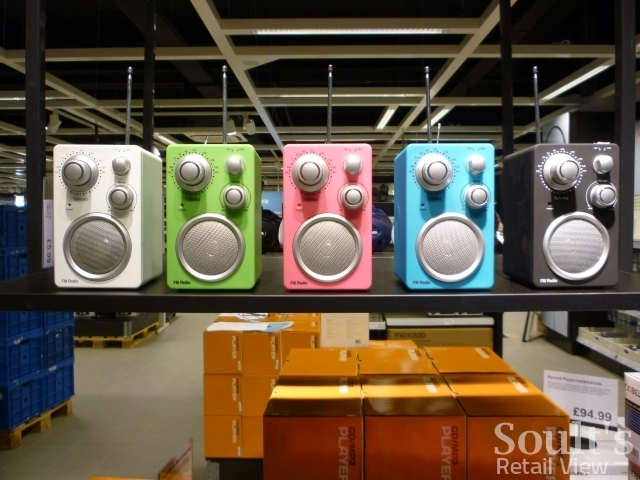 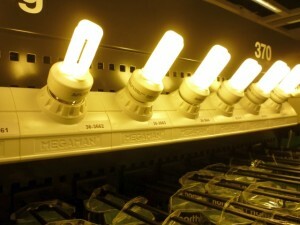 The extensive light bulb section, for example, allows shoppers to see the size, colour and brightness of the bulbs on offer, while shelves suspended from the ceiling provide an effective platform for showing off colourful products such as radios. As you may have spotted in the shots above, each small section of the Clas Ohlson store has a unique number ID, rather like in the Ikea warehouse. 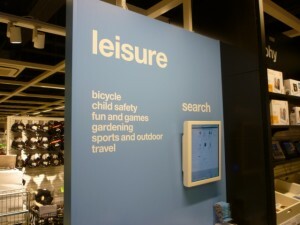 Computer terminals throughout the store allow customers to search the store’s 10,000-strong product range by keyword or item number, and to then print off a list showing the exact location of all those products instore. 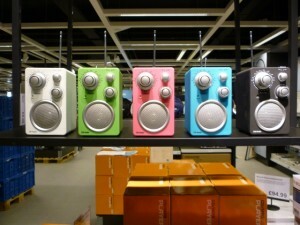 Once Clas Ohlson’s promised transactional website launches in early 2012, I suspect that the terminals will form part of the multichannel shopping experience, for example in allowing customers to browse instore and to then order products for home delivery. The checkouts and customer service desk, finally, occupy the area at the side of the lift and escalator – a logical use of an awkward-shaped area, and convenient for customers being able to exit the store again. 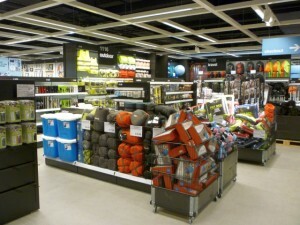 So, overall, it’s hard not to be impressed by what Clas Ohlson has done with the space, turning it into a store that feels large, bright, modern and fun – and that’s packed, of course, with useful stuff, much of it usually found out of town rather than on the high street. 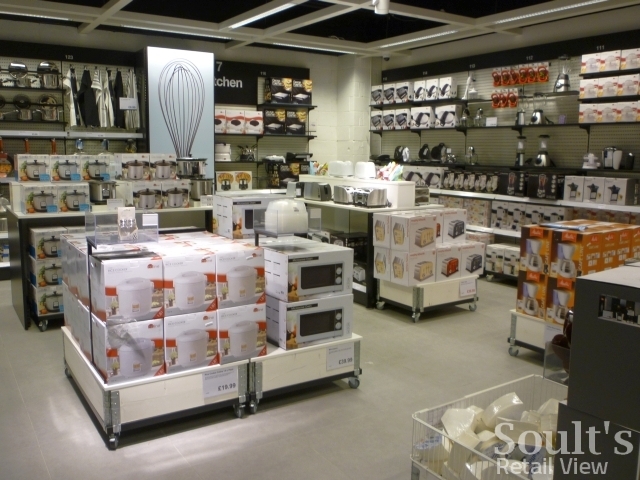 With the pre-opening marketing blitz nearly done, and the final preparations being made to the store ahead of tomorrow’s opening, all that now remains is for Newcastle shoppers to take the new arrival to their hearts. 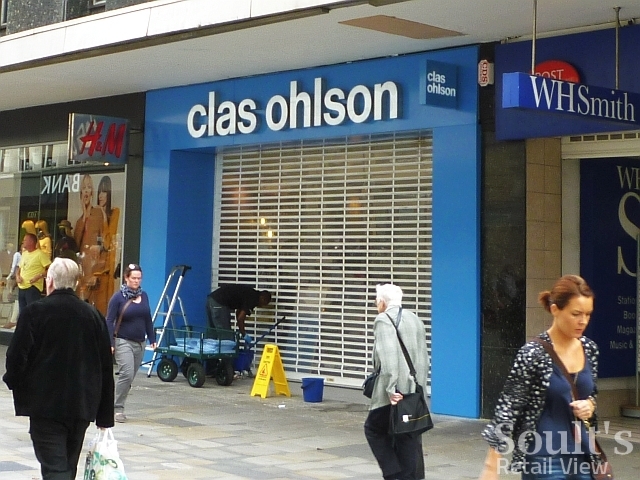 As the only Clas Ohlson store to open in the UK this year, and with short-term expansion plans scaled back, the chain’s bosses will no doubt be keeping a close eye on its performance. 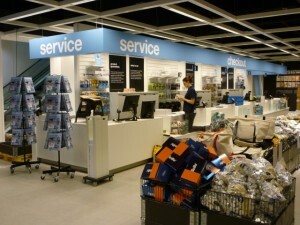 Looks very shiny…expect I’ll pay a visit soon! Might fill the void left by Woolsworth, to some extent!